I have been a standard size 11, forever it seems. Size 11 in these shoes were WAY short. Unbearably cramped my toes. I had to go to a size 11.5, which I have never had to or could comfortably wear in any other shoes I have tried. The Tru-Fit guarantee was definitely worth it. 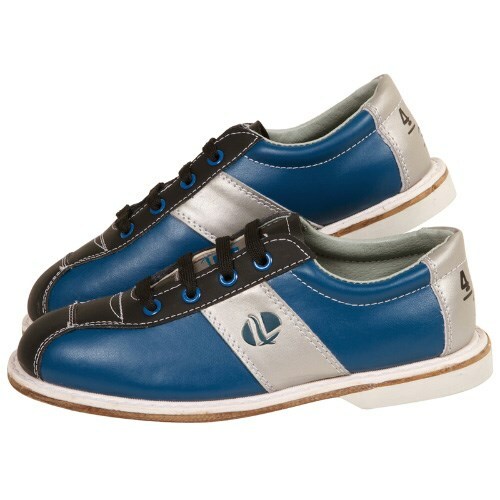 Bowling.com recommended the Tru-Fit guarantee for these shoes so they probably had some experience with Lind's sizing differences. Other than the sizing thing, I would recommend these shoes. 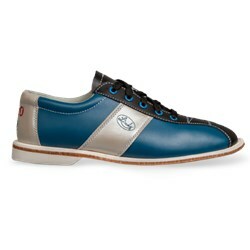 At least for casual bowling. I bowl with a group of friends on Fridays and a day or two a week by myself. Purchased 2 pair. One for myself that was just perfect (10.5) The others for my wife, little long. Her Foot is a 7, but wears 7.5 due to wide feet. The shoe runs a little wider than street shoes. I had gotten her a (7.5). Put a pair of insoles in and that helped. Both pair had a good + thumbs worth of room. I have wanted to buy a pair built like these, because others I bought kept coming apart after 1 year. either the rubber toes wore down or the soles came unglued. since the alleys buy these because they're stitched from the uppers through to the soles, and they are made of leather, I figured they were my best bet for the money. no problem sliding right out of the box. since I was used to having a push off sole, I had to adjust these simply with a piece of duc tape on that sole. it worked. this was the only reason I didn't give them 5 stars. they are light weight, and comfortable. Have had these shoes for about a year now and have no complaints. 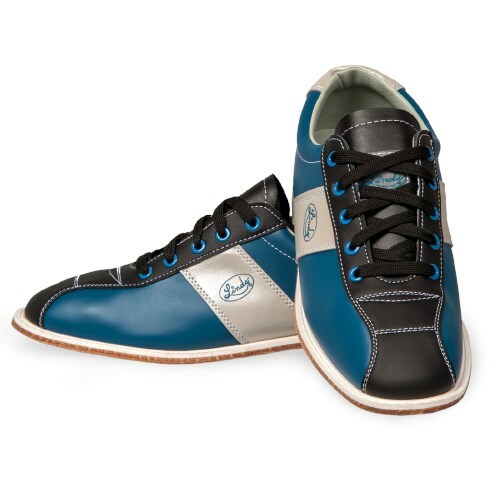 These are great, affordable shoes. Maybe not top-of-the-line, but very good shoes. Beats renting!! Sizing may run a bit too big. Width is good but length is a little long. I usually wear a size 10 so that's what I bought but probably could've gotten by with a 9 1/2. if you want velcro LINDS try them on first somewhere before ordering online....cost me an additional $20 to return and reship...Bowling.com "sure fit" option exists because they know its necessary in many cases.. but in a legitimate exchange case they charge alot without the protection.. they claimed I had a sizing issue but I EXCHANGED FOR THE SAME SIZE IN LACES...not aware of the difference between laces vs Velcro BEWARE!!! Hello! 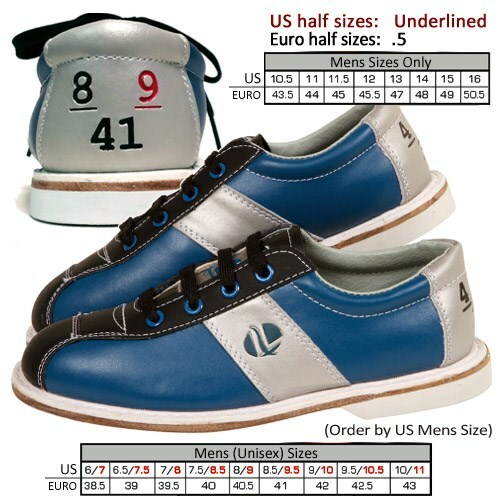 This is a regular width shoe. Are these shoes brand new and never worn ? Hello. Yes these are brand new shoes. They are just the rental style. Hello Will. Yes, these will be a standard D width. Is the word "RENTAL" on the shoe? Hey! Yes, the word "rental" will be on the shoes. Unfortunately, these will only go to a size 16. Do these shoes come in any other colors? Unfortunately, these rental shoes will only come in the color that is advertised. Due to the time it takes to produce the Linds Mens Monarch (with Laces) Rental Shoe ball it will ship in 3 bus. days. We cannot ship this ball outside the United States.